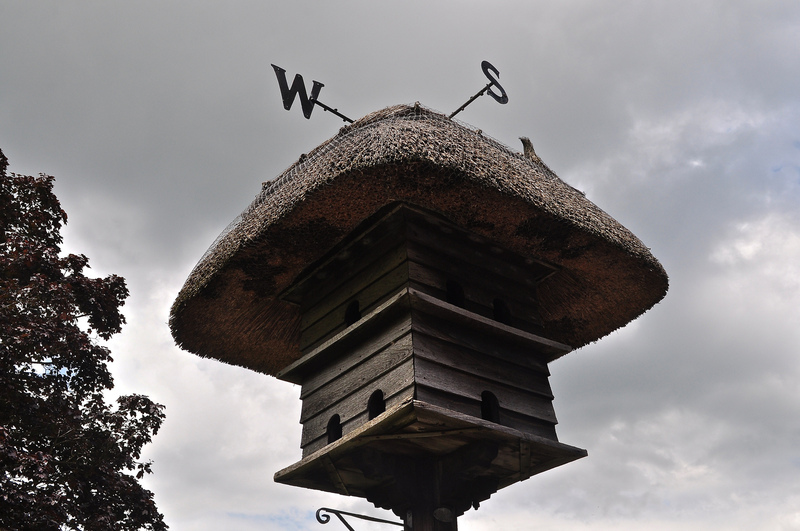 This surely has to be the most magnificent dovecote I have ever seen – I call it the Westcott Wonder. Pristinely thatched and maintained in the picturesque village of Westcott, one mile west of Dorking in the Surrey Hills, the dovecote resides close to the central village green. It has a weather vane above it with the “N” replaced by a “T” – has Kanye been around here I wonder? 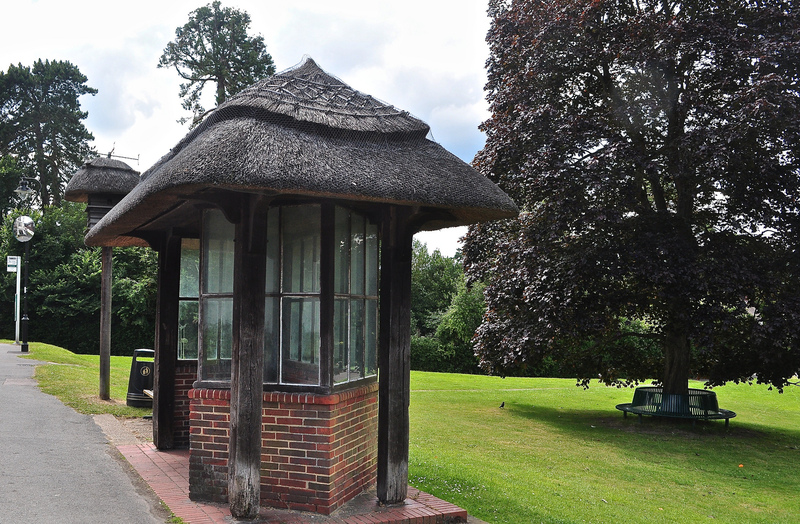 Alongside it however is another pleasant surprise: a thatched bus stop. Surely every village should have something like this! What’s a dovecote you might say? Well according to wikipedia, it’s a structure intended to house pigeons or doves and in times gone by, was considered something of a status symbol. They are generally square or circular free-standing structures and were owned primarily by the gentry as pigeons and doves were an historically important food source in Western Europe. 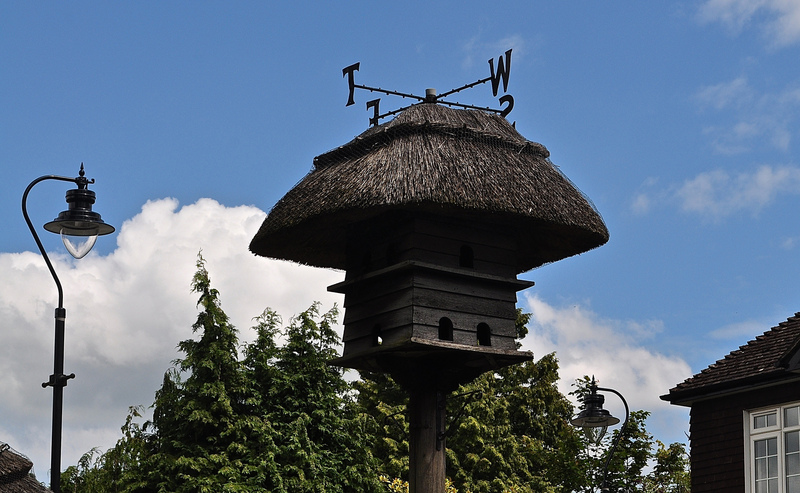 The earliest use of dovecotes in Britain may have been in the Roman period—although no certain examples are known of that date. The traditional view, however, is that dovecotes were introduced by the Normans. ← Agatha Christie & the Mystery of Surrey’s Silent Pool!